“Deck the halls with boughs of holly, Fa la la la la la la la……Ouch my back hurts!” Does this sound like you? Obligations and expectations keep us running this time of year in hopes of this year being the perfect holiday! Our bodies respond to stress whether it is brought on by good or bad events. 10 minutes late getting ready for the party, you can’t find your best sparkly earrings…stress. Traffic at the stores and fighting a fellow shopper for a parking place…stress. Obligatorily family visits that you purposely avoided for a year…LOTS of stress. Drinking too much wine at that family gathering…MORE stress! There is a lot of meaning in all of our family traditions this time of year that have made memories for us, help us feel grounded, and give us a sense of belonging. Unfortunately, the need to continue “tradition” can hold us back from experiencing something new and even better. Chinese medicine associates the kidneys with the responsibility of storing our “Jing,” or the essence of our body. Every organ has an emotion connected to it and for kidneys it’s fear. Fear of not enough time, not having enough money, having to deal with fearful people or events, even fear of not being happy or alone. You get the point; while the holidays for some really are the most wonderful time of the year, for others, they can simply be stressful. When fearful situations come up, either consciously or subconsciously, (because the brain is always working), your life force or “chi” drops down to your lower centers of energy in the lower abdomen, lumbar spine, and sacrum. These areas are included in your first chakra, (which is responsible for your feelings of security, safety, money and power) and your second chakra (where your inner child resides). Hmm, guess it’s no surprise a lot of us are in pain this time of year! Your body on an unconscious level contracts muscles and back pain begins. Stress can cause an undue amount of adrenaline to be excreted from your adrenal glands–leaving you fatigued, drained, and achy. The ligaments of the body are in direct line of fire from adrenal stress and blow out relatively quickly in the form of backache and neck pain. Neck pain related to digestion is a very common ailment this time of year as well. All the muscles that bend your head back and forth as in, “Yes, I’ll take a second piece of pecan pie” and turn your head left and right as in, “No I don’t want broccoli on my plate,” are related to the stomach meridian or the “sea of nutrients.” You can well imagine the strain that is put on the neck muscles from rich holiday meals with too much sugar, dairy, and wheat (not to mention alcohol). In addition, tension at the neck and shoulders travel along the small intestine meridian, which runs from the pinky finger up your shoulders, and to your ear along your face. Initially stomach energy ascends while digesting food, then the energy gets sent to the spleen and lung before it travels downward to the small intestine where nutrients are absorbed. If your stomach is having a difficult time assimilating the food you have eaten and the energy cannot descend downward to the small intestines, then the needed nutrients to strengthen your body, mind, and spirit will not get absorbed and you will feel an achy neck and your energy levels will feel low. Other symptoms from a weak stomach meridian may include headache, sinus issues, nausea, cold sores, bloated feeling, and stomach ulcers. While all of this sounds dismal, I promise I have some wonderful tips for your ailments. Unfortunately, a bottle of wine is NOT included in one of the remedies! 1. Use a support for your neck and back while sleeping or sitting on long drives to visit family and friends. 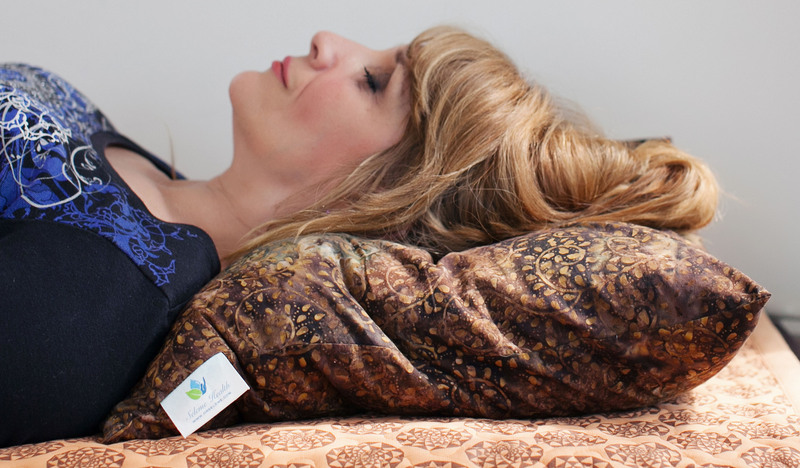 My organic, all natural, millet therapy pillows are fantastic for these purposes and are available for purchase at http://www.selemehealth.com/collections/pillows-cases. Remember, only sleep on one pillow, never two! Sleeping on two pillows reduces your cervical curve. The great thing about my pillow is it will help reintroduce the cervical curve while you sleep and can always be molded to each individual’s needs. Not only that, but they come in a wide variety of beautiful prints and patterns. Perfect gifts for you and loved ones. For more information about the multitude of ways you can use Dr. Seleme’s organic, therapeutic, millet pillows, click on the video below! Dr. Seleme’s organic, therapeutic, multi-purpose millet pillows make a PRACTICAL, FANTASTIC, CUSTOMIZABLE, & BEAUTIFUL gift anyone would love! 2. Take a digestive enzyme with every meal. Your body will love you for this. It will remove the added burden of having to digest so much food by itself and unfortunately not having the vital digestive power we all need so desperately. Most of us begin to lose digestive power as we age. 3. Take a kidney or adrenal glandular supplement during the stressful period of the holidays. Many times this can quickly alleviate your back pain. This will allow your body to stand up to stressful events and help rebuild weak organs. If you are unsure of what to take, call our office and schedule a mini appointment to get your nutrient consult. 4. Use essential oils in a diffuser to create the mood you want. A mix of Lavender, Frankincense, and Orange can be calming and relaxing. Lavender, Roman Chamomile, and Ylang Ylang can relieve stress and anxiety. Want a more upbeat environment? Try Lime, Lemon, and Peppermint for an energy boost. Need a diffuser and therapeutic essential oils? Stop by the office. We have plenty and would love to share the amazing uses and beauty of the oils! 5. 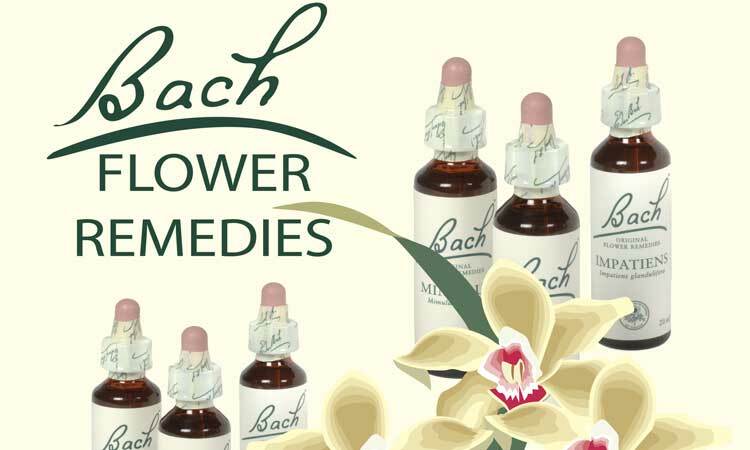 Use a natural flower remedy called “Bach Flower Remedy” to handle whatever particular emotions come up for you this season.See the list of my recommendations below. * These can be purchased at a local health food store. 6. Take an Astralagus or Fo Ti supplement during the winter months to nourish your adrenal glands. These are well known Chinese and Ayurvedic supplements to assist your body with the extra burdens of stress, food, change in seasons, and any other difficult event. It’s never too late to create excitement and true meaning more aligned within your heart’s desire in the holiday spirit. Who knows? You may have some of the best new, holiday memories getting ready to be made just around the corner! Impatiens for impatience, irritability and extreme mental tension. Great for emotional back pain. Beech for those desiring perfection and easily find fault with others. Overreact to small annoyances. Great for that relative who seems to always be complaining. Centaury for those who are overanxious to please others, and thus are easily exploited by others. Good for caregivers who are running around taking care of everyone. Elm for those who may experience momentary feelings of inadequacy and being overwhelmed by their responsibilities. For anyone feeling that they cannot afford to buy great gifts. Honeysuckle for those dwelling in the past, nostalgia, homesickness, always talking about the good old days when things were better. For those who feel the ones they love are unable to be with them for whatever reasons. Mimulus for fear of known things such as heights, water, the dark, other people, of being alone. For people who aren’t feeling the love this season, because they can’t be with someone they love. Olive for mental and physical exhaustion, as well as, zapped vitality with no reserve. Too much shopping, cooking, traveling etc. Red Chestnut for those who find it difficult not to be overly concerned or anxious for others. Always fearing something wrong may happen to those for whom they care. Worrying about ill family or friends. Star of Bethlehem for grief, trauma, and loss. Mental and emotional effects during trauma. Perhaps a loss of a job or loved one at the holidays. Sweet Chestnut for those who feel they have reached the limits of their endurance. Moments of deep despair when the anguish seems to be unbearable. Dealing with a loss or major grief. Please click on the link above to view Dr. Seleme’s new article regarding planetary forces and its affects on the human body.